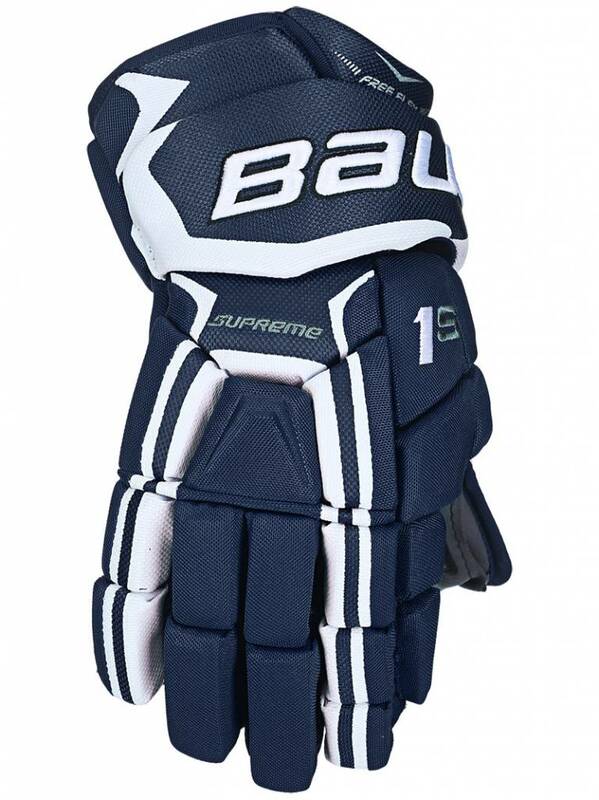 The Bauer Supreme 1S Gloves offer some of the best protection, comfort and mobility that a contour-fitting glove can offer. 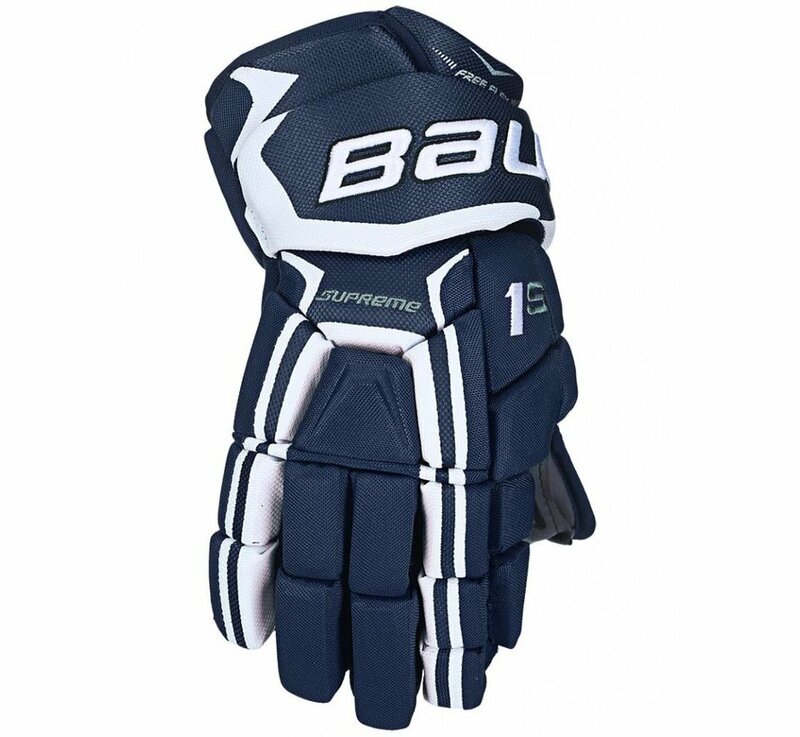 This 1S showcases Bauer's most mobile cuff construction to date with the free-floating, two-piece Dynamic Flex Cuff. Elite protection is achieved through the use of dual-density foams topped with PE inserts, while the backhand takes it to the next level with the large internal FleXorb smart foam backhand pad. 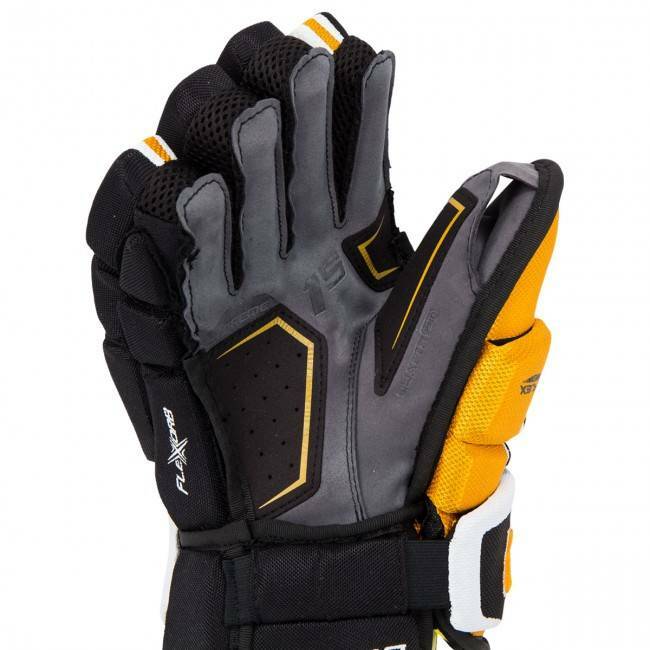 Exceptionally silky stick feel and durability comes from the updated AX Suede Quattro Pro palm. 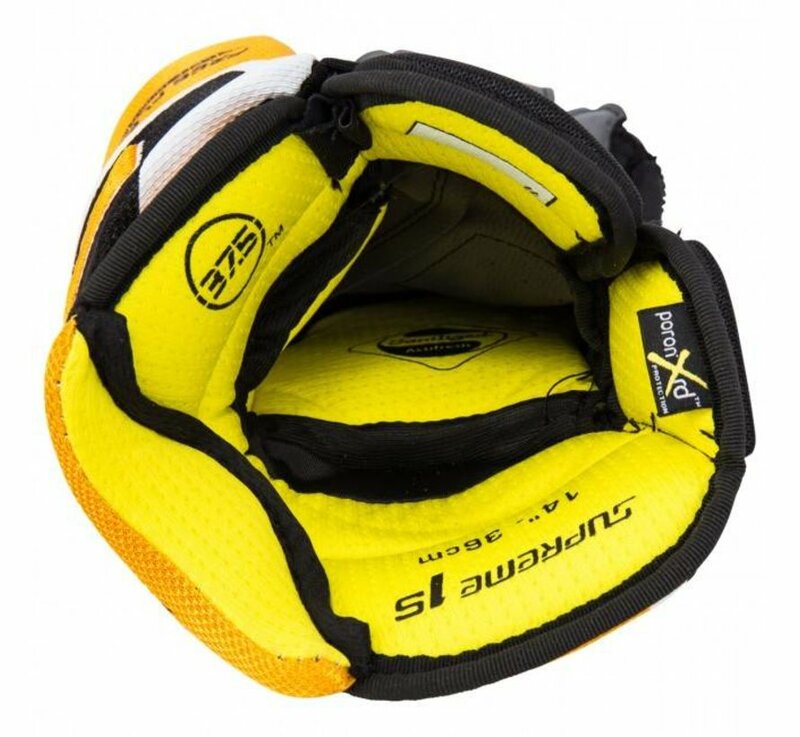 The center is double-stitched while the three key wear zones are triple layered for premium durability that doesn't sacrifice feel. 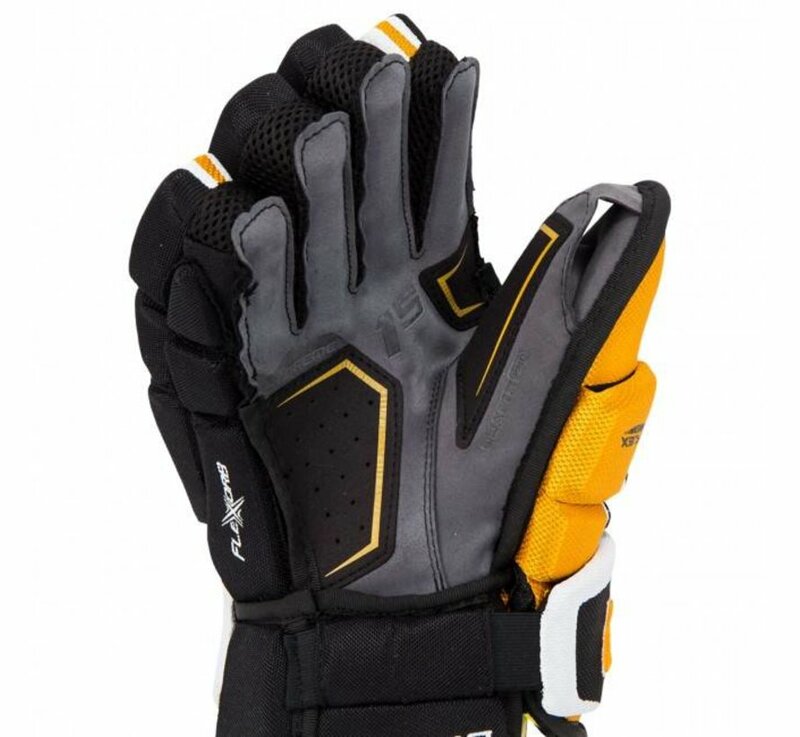 The thumb and the center wear patches are ventilated to promote better airflow. 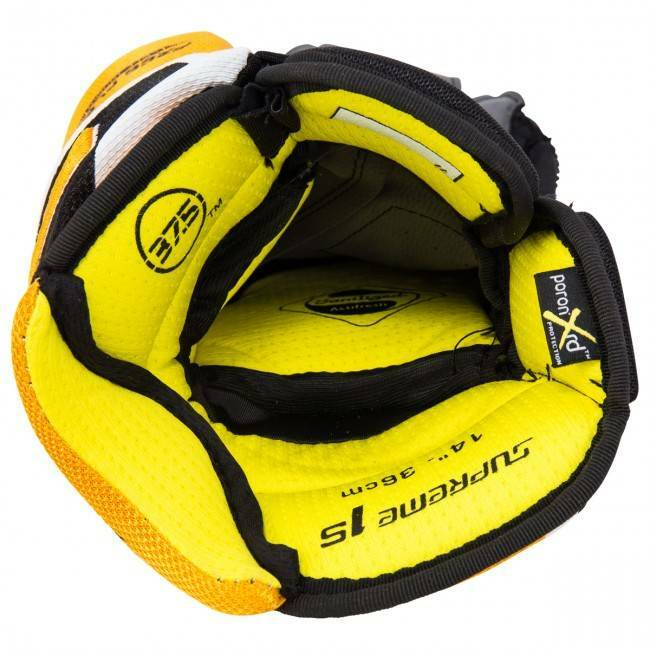 The 1S directly integrates Sanitized® odor-resistant technology into the palm and the liner of the glove, preventing odor-causing bacteria from ever forming. A more proportional- fitting glove, this anatomical design more closely aligns to the hand for a natural feel and responsive movements.